An MIT spinoff company called Soofa partnered with Visionect to create a solar-powered E Ink based next-gen bulletin board. The Soofa Sign shares information with the local community with an aim to contribute to the city's sustainability goals. The Soofa Sign is wireless and runs entirely off the solar panel on its top - which means that installation is truly plug-and-play and hassle-free as it only requires four bolts. The display itself is a 32" color E Ink panel. 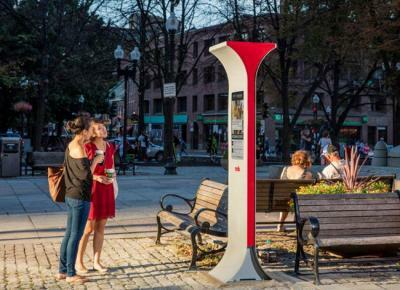 Soofa is now installing signs in Boston, MA - and will soon expand to other cities in the US.